The Reference: Will Bouteflika’s candidacy end succession question in Algeria? Will Bouteflika’s candidacy end succession question in Algeria? Algeria is working on preparations for its presidential elections in April. The elections have stirred public debate due to the health conditions of Algerian President Abdelaziz Bouteflika, who is considered by Algerians as a haven for civil peace after the country fell in bloody chaos in the 1980s. The elections will be held amid political polarization among the country’s parties on the one hand, and the state’s authorities and the Algerian ruling party on the other due to uncertainty about Bouteflika’s health conditions. This report tackles Algeria’s economic and political situation ahead of the 2019 presidential elections and highlight the opportunities of political competition, especially after the ruling coalition announced Bouteflika's candidacy. It will cast light on the significance of the 2019 presidential elections in reshaping the Algerian political scene. The presidential elections are of significant importance for a number of factors, mostly the health conditions of President Bouteflika, high unemployment rate and the country’s economic position for its reliance on oil revenues and weak diversification of resources. Bouteflika ran for president in2014 despite his health conditions at a time analysts said the ruling coalition was not ready for any succession arrangements. It had to name President Bouteflika in a bid to gain time to prepare a successor. 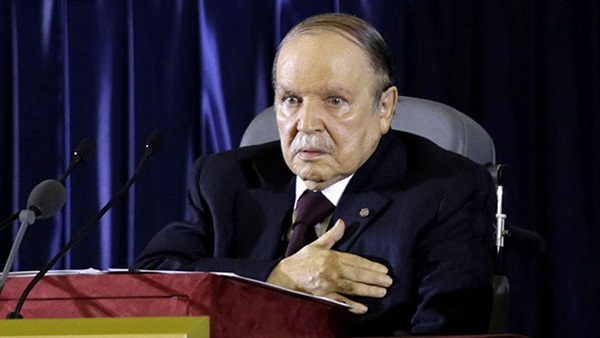 However, the 2019 presidential elections raise questions about the insistence on naming Bouteflika again despite the deterioration of his health conditions. That also raises a number of questions not only the presidential succession, but also about what can be termed as ‘stability question’, i.e. the political and social stability which Bouteflika has cemented after a bloody decade that could have ushered in drastic changes whether geographically and demographically. Although Algeria’s economy is ranked among the rich economies, it suffers from corruption and lack of transparency. Algeria heavily relies on oil and gas as main resources for the GDP. Oil and gas account for roughly 98% of export revenues and around 70% of the state’s revenues. Although a decline in oil prices affects Algeria’s revenues, the economy has improved since 2018, narrowing the budget deficit and boosting economic growth to 2.7% in 2019, an increase of 0.2% compared with 2018. Despite optimism about growing oil and gas, the sector roughly accounts for 2% of Algeria’s labor force. As mentioned earlier, the oil and gas sector is not a major factor in tackling unemployment. Although the economy was impacted by a decline in oil prices in 2016, unemployment rates have improved over the past years. Unemployment rates among women and youth fell to 19% and 24% in 2016, respectively, from 16.7% and 29.7% a year earlier, according to World Bank data. However, this decline in unemployment rates theoretically, this is not sufficient as the Algerian society is young with the young people accounting for 60% of the population. The Algerian People's Army is a balance of power in the Algerian republic. Despite its independence of the political scene, it has been influential player on the country’s political scene. The Algerian law allows the military to vote in the general elections. Police chief, General Abdelghani Hamel, was sacked due to his involvement in smuggling 701 kg of cocaine in collaboration with a businessman named Kamel Chikhi. Analysts point to Hamel's criticism of Gaïd Salah , the chief-of-staff of the Algerian National Army. Hamel was a strong candidate to succeed Bouteflika. The ruling coalition parties have named President Bouteflika to run for a fifth term in office. The coalition includes the National Liberation Front party (FLN), led by Mouad Bouchareb and Prime Minister Ahmed Ouyahia. The announcement of retired general Ali Ghadiri to run for president has stirred controversy, especially as his name was not raised before. The Islamist Movement for the Society of Peace has named Abderrazak Makri to run for president. Analysts say the nomination is aimed at bringing the Movement back to the ruling coalition. Finally, President Bouteflika’s candidacy has ended a number of scenarios which were previously suggested ahead of the presidential elections. The Algerian political elite will keep on working relentlessly in the coming period on overcoming the presidential succession question. Bouteflika's candidacy for the 2019 presidential elections may put an end to the in-fighting situation, which has started among the regime’s political wings, i.e. the ruling party, the security and military organizations.